PHP – Hypertext Preprocessor originally created by Rasmus Lerdorf in 1994. It is server-side scripting language designed for web development. It is an Open Source. PHP uses MYSQL database. It has a simple programming style that allows anyone can learn and work easily. The PHP code is embedded into HTML code or combined with several web template, web frameworks, web content management systems. PHP interpreter is powered by Zend Engine, free software with PHP License. Why KaaShiv InfoTech Company to learn PHP Training in Chennai? Kaashiv provides Best PHP Training in Chennai with professional trainers who provide real-time training and also projects to the candidates for better understanding. 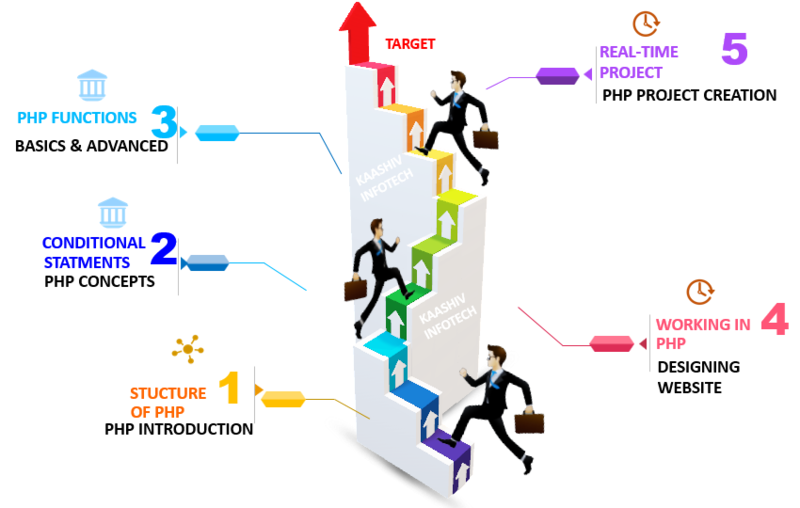 Why Students Enroll for real time PHP Course Training in Chennai ? Learn and Implement 120 Concepts Covering PHP Basics to Advanced. Industry recognized Course Completion certificate + Digital Marketing Certificate + (Achievement certificate for best performers) will be given to all the students. For PHP Training 120 concepts from Basic to Advanced will be covered.